BHGRE Metro Brokers has been a member of the Cartus Broker Network for eight years and was the only real estate brokerage in metro Atlanta to receive the Platinum Award, Cartus’ top honor, for their 2017 performance. We have achieved Platinum Status for our work in both 2014 and 2015. 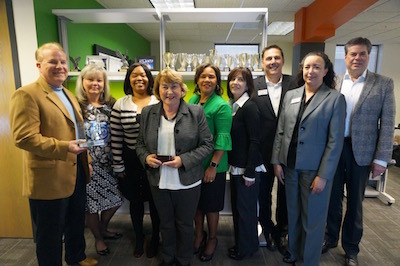 Along with Platinum Status, BHGRE Metro Brokers’ Relocation Team has also won the 2015 and 2016 Cartus/USAA Grand Slam Eaglet award for excellence in customer satisfaction, Cartus Five Star Broker status in 2017 and the 2015 Partner in Quality Award from WHR Group Relocation for conversion and performance. Our relocation agents go above and beyond for their clients. Homebuyers who used BHGRE Metro Brokers for their relocation needs in 2017 reported a 96 percent satisfaction rate, one of the highest marks in the country.